So Landreth and his longtime friends decided to do it all. Recorded Live in Lafayette is a 16-song opus that covers more musical ground than any single album ever could, as the singer and songwriter's work stretches and twists across 93 minutes of full-band acoustic and electric bottleneck lightning. 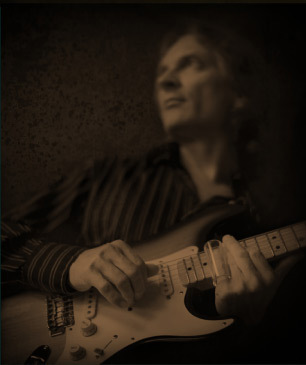 The double CD and vinyl release on Provogue, which includes the most extensive acoustic set ever recorded by Landreth, opens with acoustic arrangements of the artist's tunes dating back to the 1981 title cut of his debut album, Blues Attack. "It gives you a chance to explore those songs in a different way," Landreth says, describing the textures created by the intersection of Dave Ranson's ukulele bass, Brian Brignac's cajón, Steve Conn's accordion and Sam Broussard's acoustic guitar. "The familiarity is there," he adds, "but I also wanted to turn those guys loose as much as possible." The double album arrives on the heels of the Grammy nominee's back-to-back Blues Music Awards for Best Guitarist and Best Blues Album for Bound by the Blues. Live favorites "Hell at Home" and "U.S.S. Zydecoldsmobile" also get the unplugged treatment, alongside a rare rendition of "Creole Angel" and an evergreen 6:47 amble through "Key to the Highway." "If I've ever had a theme song, that would be it," Landreth explains. "All of my heroes have done it, and it's still to me one of the greatest blues tunes ever written. It's kind of like coming home." Landreth has collaborated with the very top names in guitar over the years: Eric Clapton, Mark Knopfler, Eric Johnson, Derek Trucks – the list goes on. The noted slideman cut his musical teeth in The Red Hot Louisiana Band of zydeco king Clifton Chenier, and Landreth has since recorded and toured with artists ranging from John Mayall to John Hiatt. Recorded Live in Lafayette adds another major chapter to his tale, as new vocal and instrumental colors emerge, with guitarist Sam Broussard providing brilliant musical counterpoint to Landreth's innovative playing on songs like "A World Away." "There's nothing like a slow minor blues," Landreth says. "I don't think there's anything more beautiful." Referencing Conn and Broussard's contributions to his composition, he adds, "This track has one of the greatest accordion blues solos of all time, only to be followed by one of the greatest acoustic blues guitar solos of all time. I'm blown away, and we never plotted out who was gonna play where on what." Landreth's co-producer Tony Daigle recorded the three shows through a 48-channel API 1608 console that had just been used by U2 and was freighted down courtesy of the company's president/owner Larry Droppa. The different CD and vinyl packages were created by Grammy-nominated graphic designer Megan Barra, and Landreth will support the release with trio dates as well as duo collaborations with gifted lap slide guitarist Cindy Cashdollar. "I don't take opportunities like this for granted, and I wanted to feature everybody that's in the band," Landreth emphasizes. "I hope that as part of this celebration of music from so many years of my life that we also shed some light on each of them. You can look up their work and you're in for one hell of a ride."